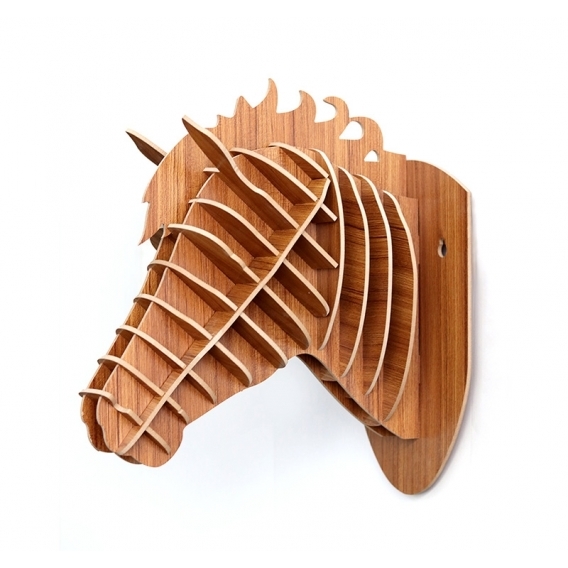 One of your favourite animals on a wood wall decoration ! 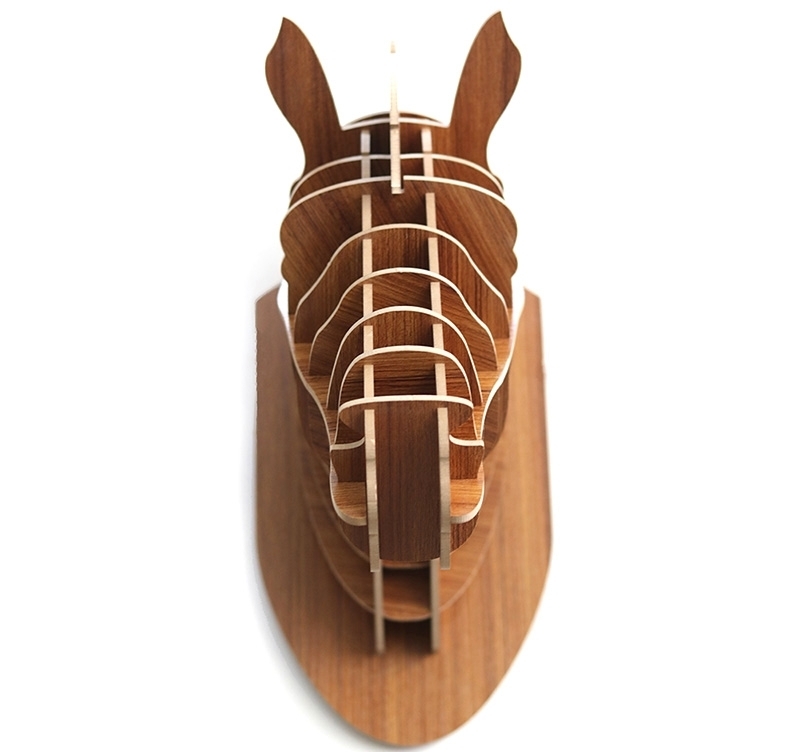 This horse design wall trophy is entirely hand made. The dimensions of this lounge wall decoration are 40 x 40 cm. 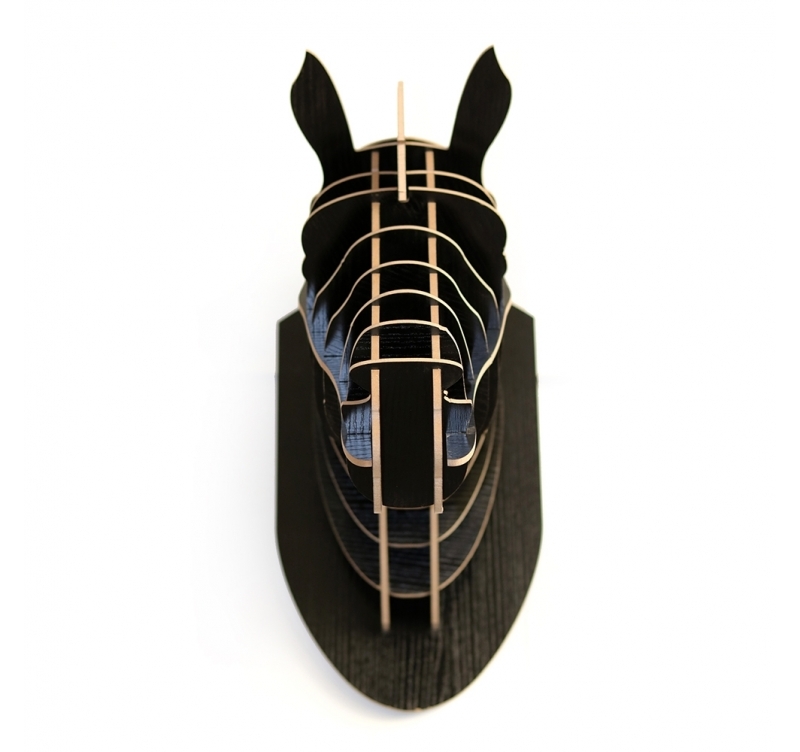 This modern animal head deco is delivered free as a kit to make its putting together easy. 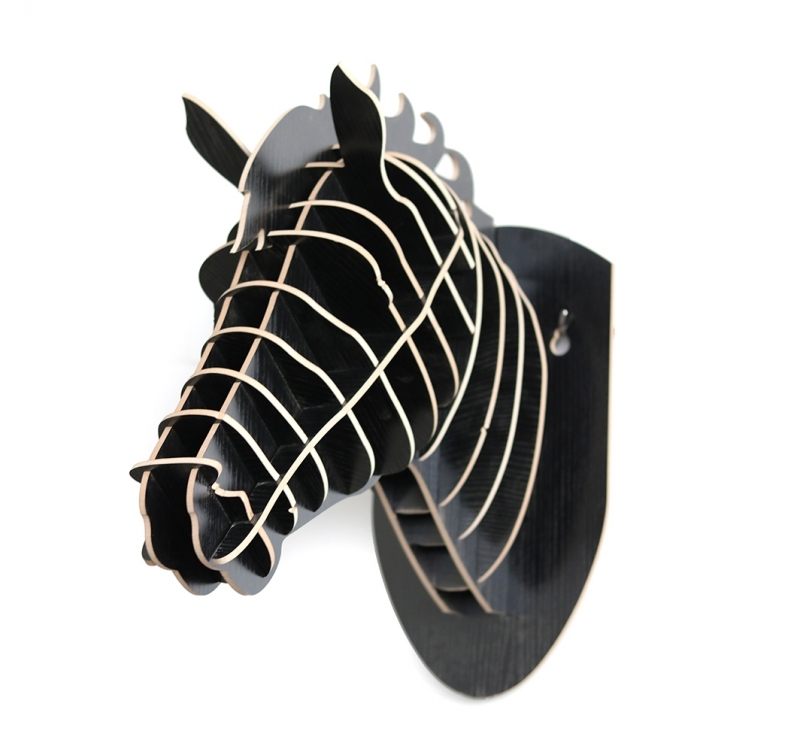 The elegance and power of a horse on a wood wall trophy for your interior decoration ! Our modern wall decorations series proposes you a deco animal heads collection to fashion your walls to your liking. 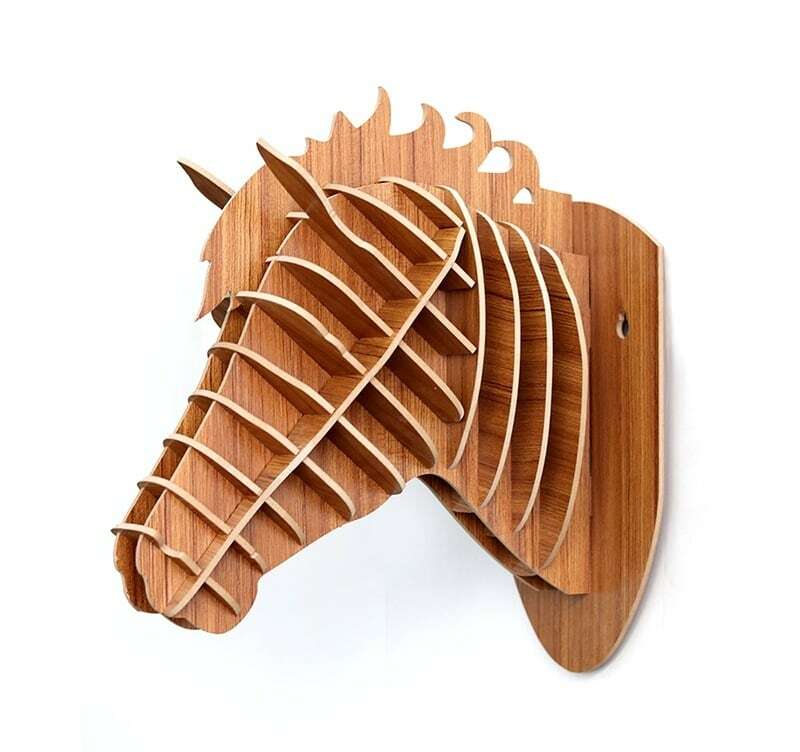 Our horse lounge deco proposes a better than the real thing animal that you can hang up directly in your children’s room or any other room in your home. 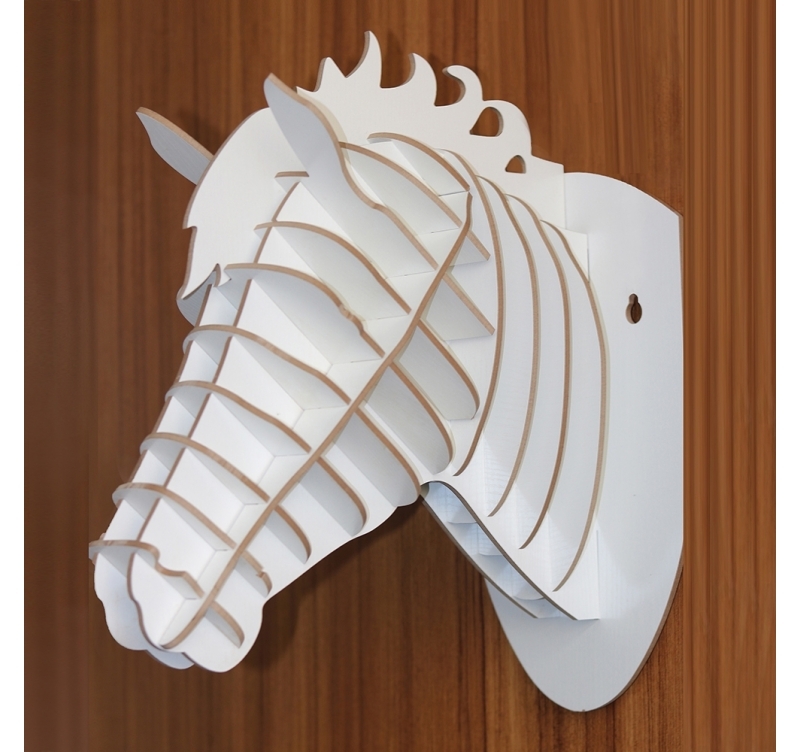 This horse kit modern wall deco is delivered free in metropolitan France and Belgium in an Artwall and Co personalised box. 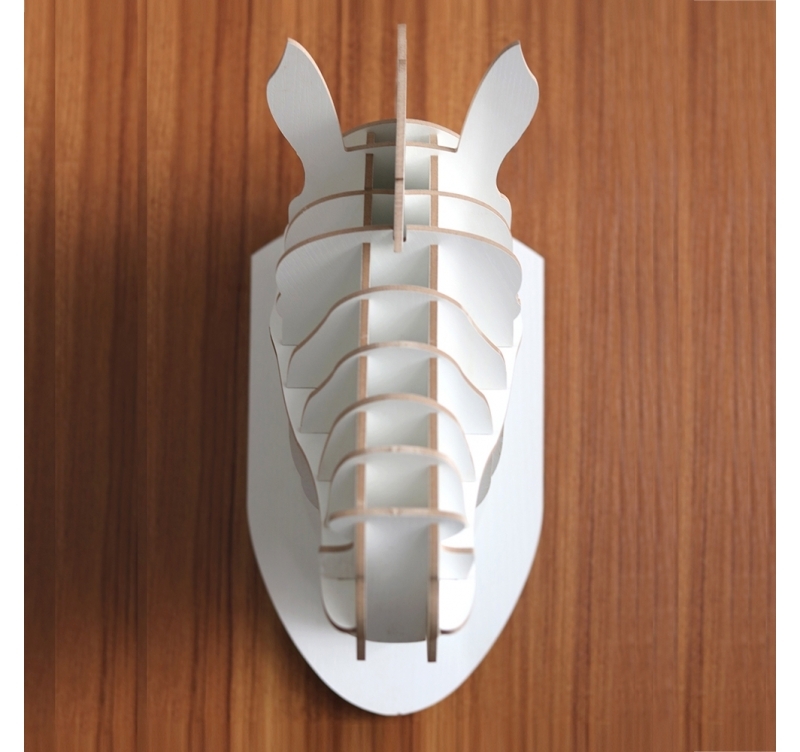 In a few minutes and very easily you can put together this trendy wall trophy with its integrated hanging system to bring an animal touch to your walls.